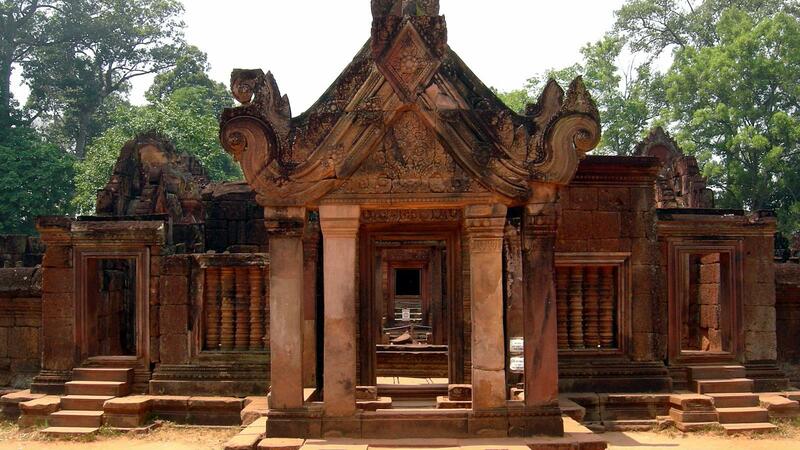 Banteay Srei or Banteay Srey (Khmer is a 10th-century Cambodian temple dedicated to the Hindu god Shiva. Located in the area of Angkor, it lies near the hill of Phnom Dei, 25 km (16 mi) north-east of the main group of temples that once belonged to the medieval capitals of Yasodharapura and Angkor Thom. Banteay Srei is built largely of red sandstone, a medium that lends itself to the elaborate decorative wall carvings which are still observable today. The buildings themselves are miniature in scale, unusually so when measured by the standards of Angkorian construction. 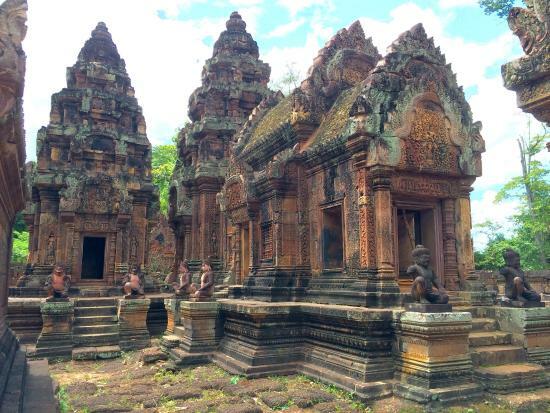 These factors have made the temple extremely popular with tourists, and have led to its being widely praised as a "precious gem", or the "jewel of Khmer art."